Proposed laws meant to reduce lead poisoning in children are facing resistance from landlord groups like the Rent Stabilization Association. City Hall announced on Thursday that it supports multiple bills that would tighten landlord regulations to solve the lead poisoning problem, according to Crain’s. About 4,200 children younger than six were found with high lead levels in their blood last year. A set of laws in 2004 helped to lower lead exposure among children by 90 percent, Crain’s said, but the new package would aim to put a complete end to lead poisoning. The de Blasio administration is working to reach the 20 percent of children who do not get tested for lead by age three and backs several major bills in the council’s package, including one that lowers the amount of lead in blood that would require intervention from the city. However, measures such as setting a lower bar for what constitutes a lead paint hazard and eventually making landlords completely remove lead paint do not have as strong support from City Hall. Landlord groups maintain the proposals are too big of a jump from current standards, claiming they would increase costs and put affordable housing at risk. 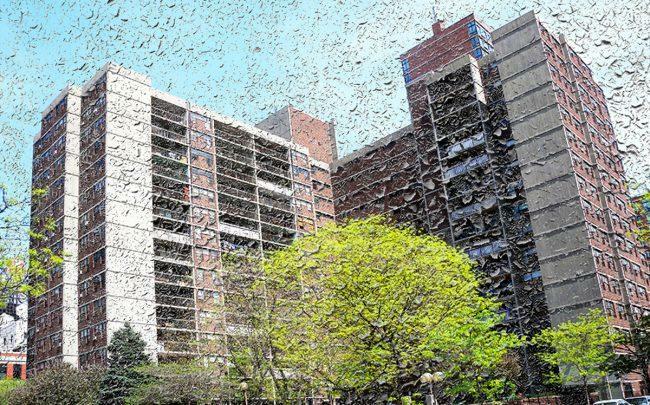 The city also voiced support for placing a closer eye on construction in older buildings that could kick up lead dust, but the acting commissioner of the city’s Department of Health and Hygiene said officials wanted to further discuss the details with lawmakers.